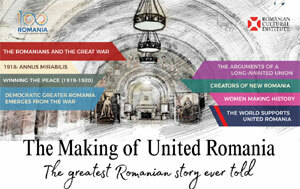 The latest Romanian robotic inventions will feature, for the first time, in the Robot Safari EU festival, a showcase of scientific imagination, which will take place at one of London's landmark cultural scenes, the Science Museum. The creators of the three Romanian biomimetic robots - DodecaRob, Jellyfish and Piranha - come to London to demonstrate the skillfulness of their amazing machines: Viorel Gheorghe from the University Politehnica of Bucharest and Theodor Milian from X-Projects - The Romanian Association of Students and Engineers with Scientific Activities. What can we learn from nature to help solve human problems? Can robots help us understand nature better? What’s that tumbling over the hill? DodecaRob is a twelve legged tumbleweed robot. Its shape means it can’t be overturned and it can recover easily if it bumps into something. It can also change direction without extra unnecessary movements. Is this robot the answer to explore uneven terrain? How is a jellyfish like a propeller? The Jellyfish robot has been created to help us figure out how a jellyfish moves. This could help us build more efficient underwater vehicles. 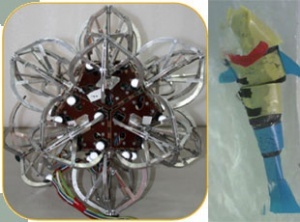 The jellyfish robot could also be used to monitor changes in the ocean without disturbing local marine life. This is one piranha you don’t have to avoid! The Piranha robot avoids obstacles by using its three ‘eyes’. It was created to help understand how a fish moves, especially when swimming upstream. It could lead to more effective methods of propulsion, which use vortices generated by underwater rocks and current. The Robot Safari EU Festival will celebrate the most cutting-edge creations in European robot design and innovation – and explore the cultural significance of robots. You can meet over 20 unique robots and their makers, who will be on hand to demonstrate their work and talk to visitors. The festival is organised by the Science Museum in partnership with EUNIC London (European Union National Institutes for Culture).